PEOPLE IN IRELAND are gradually turning away from religion, with over a quarter of a million saying in the last census that they have no faith, but are any joining the ranks of the Jedis? More than 390,000 people described themselves as followers of the Star Wars-inspired creed in the UK’s 2001 census, following a campaign to have it recognised as a religion. The figure dropped by more than half over the next decade, with just over 175,000 in religion statistics for 2011. But there are no plans to start counting the number of self-described Jedi knights here in Ireland just yet. A spokesperson for the Central Statistics Office (CSO) told TheJournal.ie that such census entries, not being religions, are included in the “not stated” category in final data. How does it work? There are seven options listed under the census question on religious belief: Roman Catholic, Church of Ireland, Islam, Presbyterian, Orthodox, other or no religion. The CSO said it scans in all responses to the question and assigns a code to each religion, including those recorded in the “other” text field and some whose figures were not published due to low numbers. Other smaller faiths are automatically put into the “other religion” grouping. A Dáil committee quizzed the CSO about the reliability of census answers in 2012, with Fine Gael TD Eoghan Murphy highlighting efforts to get people to write Jedi down as their religion. While this means there is no way to determine the number of self-described Jedis living in Ireland, some feel the practice of naming mock religions on census forms raises bigger issues. Michael Nugent of Atheist Ireland said joke responses to the religion question, being categorised as “not stated”, potentially contribute to an underreporting of the number of non-religious people. This, he said, “can then be used to support further religious discrimination in provision of state services such as education”. “Equally, writing ‘atheist’ or ‘agnostic’ in the box that says ‘other religion, if any’ is unhelpful,” Nugent told TheJournal.ie. Firstly, atheism and agnosticism are not religions, and secondly, the small number of atheists who write the word in will be misinterpreted as the actual number of atheists in the country, which is much larger. Unfortunately, the way the questions are phrased, it is impossible to tell how many atheists there actually are, but the most accurate answer if you are an atheists is to tick the ‘no religion’ box. Atheist Ireland raised the issue with the census office but were told they had already started the process of printing the forms so were unable to change them, he added. 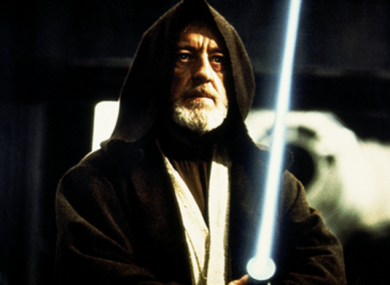 The Temple of the Jedi Order, a US-based church which describes its philosophical beliefs as similar to those presented in Star Wars, also has concerns about the so-called Jedi census phenomenon. “Many of those who put down ‘Jedi’ or ‘Jedi knight’ in the census do so as a form of political protest and humour,” a spokesperson for the group said. This does not mean no one is sincere when they do it, because as the existence of our Temple and other Jedi groups shows there are many sincere Jedi across the world. It does mean, however, that the number of sincere Jedi are masked. It is unfortunate, though understandable, that sincere Jedi are not accurately represented within official statistics. This demonstrates how a census does not necessarily reflect reality, something authorities are likely considering when choosing the ‘not stated’ designation. A better representation of the numbers of sincere Jedi globally or worldwide would be found by contacting Jedi groups directly. Email “Is there any point putting 'Jedi' down as your religion on the census? ”. Feedback on “Is there any point putting 'Jedi' down as your religion on the census? ”.